I have been crushing on stylish sweatshirts with witty sayings for a while, but they all seemed to be completely out of my budget. But this one from ILY Couture was the perfect storm balance of style, price, and wit. And thank you to the very stylish Courtney for sharing this post that sealed the deal! 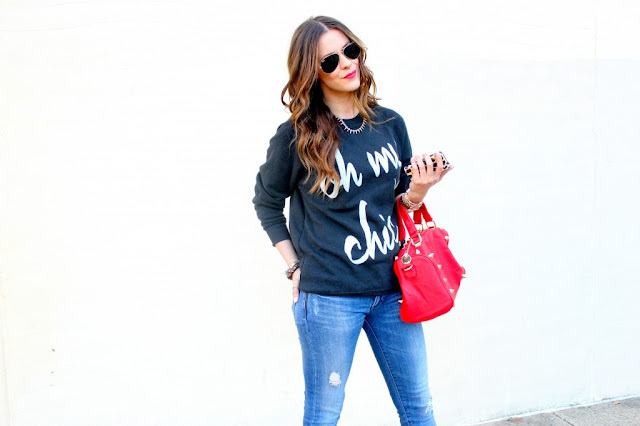 Are you a fan of this twist on the classic sweatshirt? I've been eyeing this piece for quite a while and I'm so bummed that they don't ship internationally! I would love to get this one in burgundy! 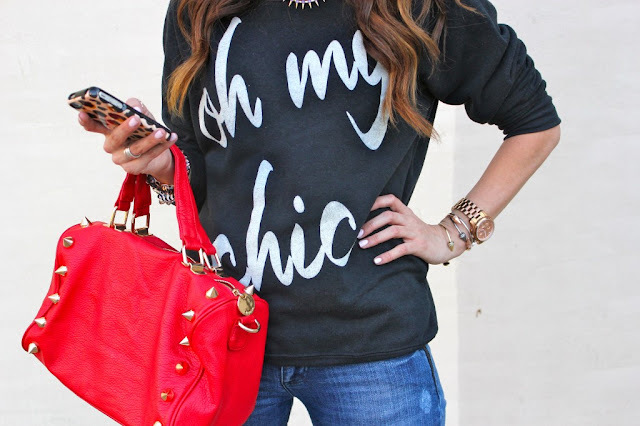 I've been loving these fun twists on the sweatshirt...this one is great! Oh how fun and so so JULIE! I would dig this one for myself. Just perfect for Saturday errands!! You have no idea how close I am to purchasing this sweatshirt. I freaking love it and have had it open on a page on my phone for weeks. Obsessed. Also, finally following you off of Instagram. How did it take this long?! Yes yes yes - huge fan! I love that you can pair this with so many different things. Very cute. Love them, and I love the one she's wearing! Loving this (an the animal graphic sweater) trend as well!